Duart Castle, the home of Clan MacLean, is in need of repair in order to save it for future generations. The main concern is water penetration into the castle. You can help save Duart Castle by making a donation to the restoration fund. 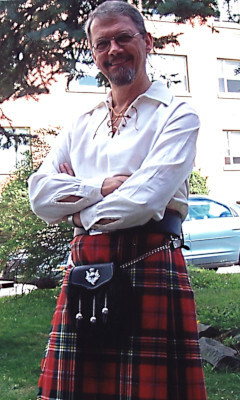 A warm welcome to new and returning visitors to Clan Maclean Atlantic Canada. Be sure to browse through our site using the menu on the left including our Facebook page. Our site has many interesting features that I feel certain you will enjoy, including "About Clan Maclean", "History and Places", of course, the "CMAC Store" and others. Our immediate geography covers Atlantic Canada but we are also proud to include members from right across Canada, a number of U.S. states and as far away as New Zealand. We become very active in summer with involvement in many Scottish festivals, Highland Games and other events. We have also enjoyed a partnership with the Clan Maclean Heritage Trust, based in Scotland, where we have showcased and helped to preserve and promote local and regional Maclean history and traditions. If you are interested in your Maclean (with its many spelling variations) roots and heritage, please join us (membership page in left menu) and explore this ancient clan and its intriguing history. Did you know that the Clan Maclean green hunting tartan was the oldest registered tartan in the world! Help our site grow! If you have any pictures, history, or other information that relates to Macleans in Atlantic Canada that you would like to share, please email the webmaster. Also looking for photos of MacLean places (of any spelling variant!) in Altantic Canada for the new " MacLean Places In Atlantic Canada" photo section. This site is designed for viewing with a modern broswer, such as Firefox. If you are using an old broswer, I strongly recommend upgrading to one of the Mozilla products, these are completely free and much improved. colour is recommended for this site.